That fear, the worry, the anxiety, the hopelessness…none of that is from God. He doesn’t give us a spirit of fear. The enemy is prowling around seeking those he can devour. BUT GOD. God gives us POWER, LOVE and a SOUND MIND. If we know that fear & worry & anxiety & hopelessness is from the enemy, we’ve got to do battle. I don’t know about you but I’m not going to let the enemy win. I’m not going down without a fight. Better yet, because of the power of the Holy Spirit that lives within me I HAVE VICTORY. I’m not actually going down at all. I know the end of the story. We are overcomers because of the blood of Jesus. So get up today, friends, and preach the POWER of the gospel to your own heart. 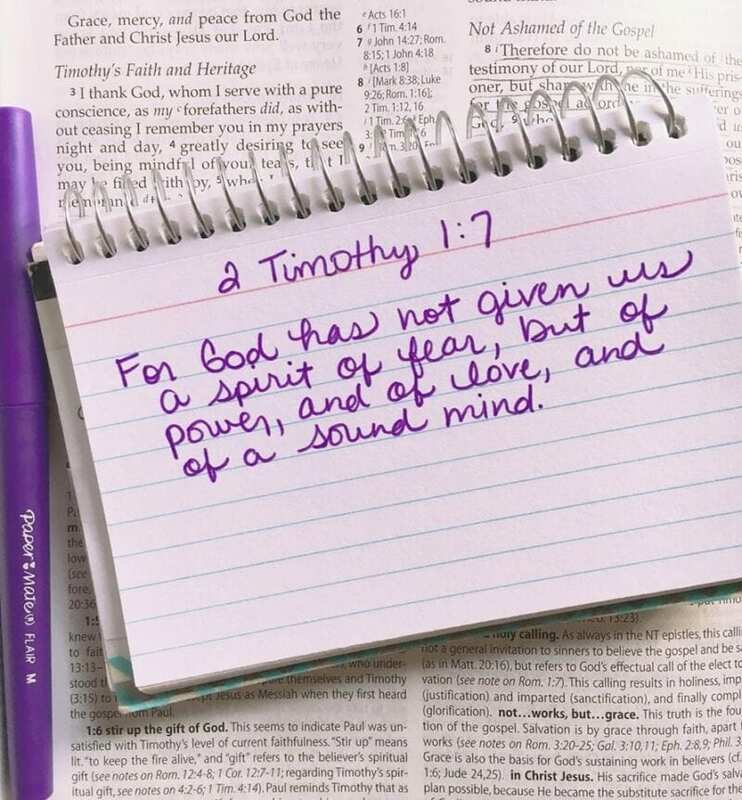 Turn this verse into your Scriptural affirmation for today: God has not given me a spirit of fear, but He is giving me POWER, LOVE, and a SOUND MIND. I am claiming His truth and walking in the spirit and standing on the promises of God! Who is with me??! !